China's soccer performance has never matched its vast population and the national men's team currently ranks 93rd in the world and 11th in Asia. China has separated its football association from the government as a crucial step to inject more independence into the sport. The Chinese Football Association (CFA) told Xinhua on Wednesday that the government-run Chinese Football Administrative Center, which virtually runs the game in the country, was removed early this month, giving CFA more latitude in making decisions. CFA also said they will have autonomy in personnel management, pay rate, foreign visits, finance, marketing and selection of national team coaches. The separation of the association from the government came one year after a top-level team on deepening China's reforms, as led by President Xi Jinping, approved plans to reform the sport. "We must develop and revitalize soccer to ensure we are a strong nation of sports," Xi, an avid football fan, told a meeting of the Central Reform Leading Group in March 2015. China must overcome its "defective system", which has impeded the development of the game, and provide better "institutional guarantees" for its progress, said the statement issued after the meeting. In stark contrast to its huge success in many other sports, China has been struggling in soccer for decades and only ever qualified for the World Cup once, in 2002. Xi specifically declared that hosting, qualifying for, and winning a World Cup were national goals. Companies and businessmen have rushed to put money into football since China last year approved a 50-point plan, including building thousands of football academies, cultivating domestic talent and separating CFA from the government. Chinese Super League clubs have spent an unprecedented 317 million euros during the current winter transfer window, which closes on Friday, to bring in foreign stars, many of them internationals. The Chinese transfer fee record has been smashed four times during the period, culminating in Jiangsu Suning paying Shakhtar Donetsk 50 million euros for Alex Teixeira. 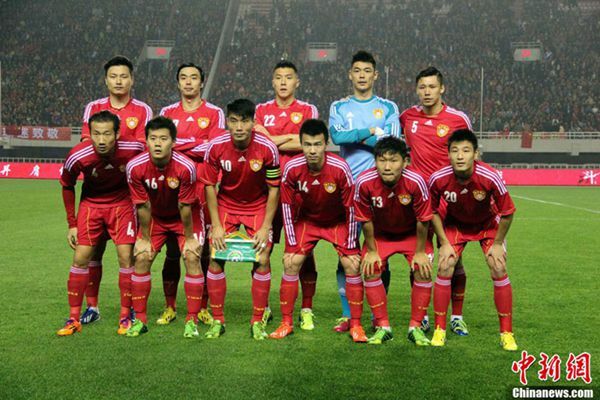 China has reduced government control of its national soccer body, state media reported yesterday, under a plan to overhaul the sport and boost the performance of its struggling teams.